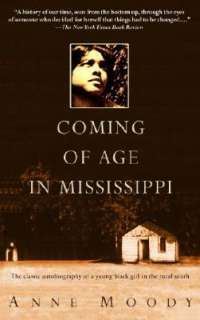 This entry was posted in Careers/Professionals, Education, Gender, In Memoriam, Race and tagged 2 Dope Sistahs, Anne Moody, Coming of Age in Mississippi, Professors, Students, Teaching by Da Realist 1. Bookmark the permalink. It’s amazing there are still dedicated teachers in academia because today’s students are so different from those in my college years. I know each student is different and likes different subject matter, however, this article for me was about the lack of respect for teachers by some of today’s youth. How times have changed! Thank you for your dedication. I think they’ve changed since I was an undergraduate as well. I know I would have never behaved that way. These incidents can be disheartening , but I’m trying to keep my head up. Thank you so much for your compliments and the good Word. I’m going to meditate on that scripture today.